TAMPA, Fla. – USL League One’s inaugural season produced a spectacular opening weekend filled with historic firsts as soccer fans welcomed the new USSF-sanctioned Division III league to the North American landscape in solid numbers across four contests. After a sellout crowd for League One’s inaugural contest between South Georgia Tormenta FC and Greenville Triumph SC on Friday night, the league drew almost 12,000 fans overall to its opening weekend. Those fans were treated to exciting action, including a remarkable opening bow from one of the U.S. Youth National Team program’s top players. 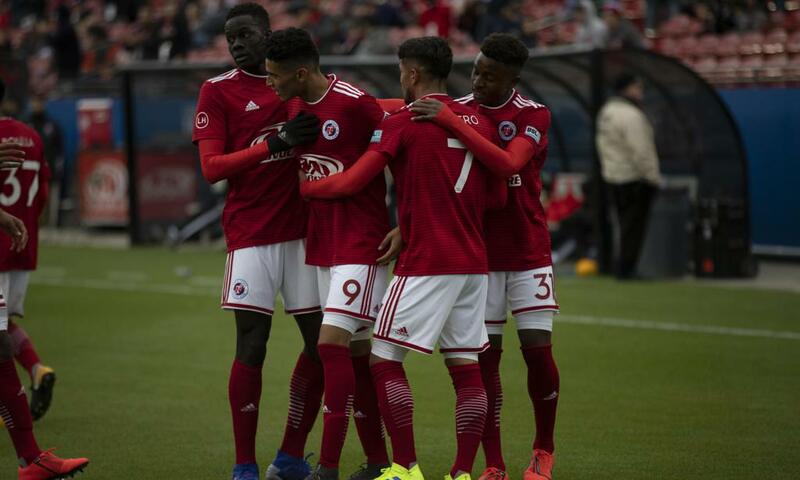 North Texas SC 16-year-old Ricardo Pepi recorded the first hat trick in League One history on Saturday night as he led his side to a 3-2 victory against Chattanooga Red Wolves SC at Toyota Stadium, making the biggest impression on the field of the opening weekend. He was joined by Tormenta FC’s Alex Morrell, who became the first goalscorer in League One history with a late game-winner in South Georgia’s 1-0 victory against Greenville Triumph SC in front of 3,519 fans at Erk Russell Park. With league officials on hand, Tormenta FC joined the professional ranks in fine style as players and fans alike welcomed professional sports back to Statesboro, Georgia. Lansing Ignite FC made a big first impression as well, winning its first game in club history 3-2 on the road against the Richmond Kickers in front of a crowd of 5,936 fans at City Stadium. Goals by Robinson Moshobane and Xavier Gomez before halftime and Kevin Coffic just after halftime staked Lansing to a three-goal lead, and while the Kickers pushed back in the final 25 minutes the newcomers held on to claim a historic victory. 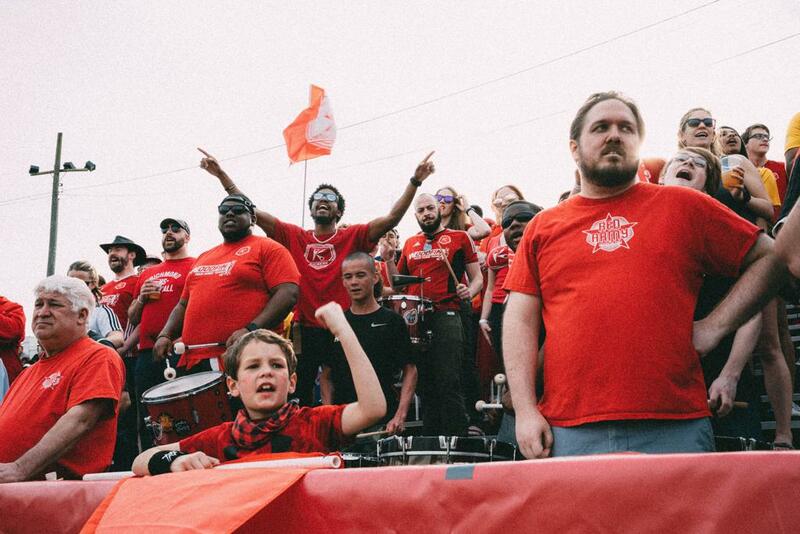 Richmond Red Army looks on during the second half of the Kickers' match against Lansing Ignite. Photo courtesy of Lianne Copertino. 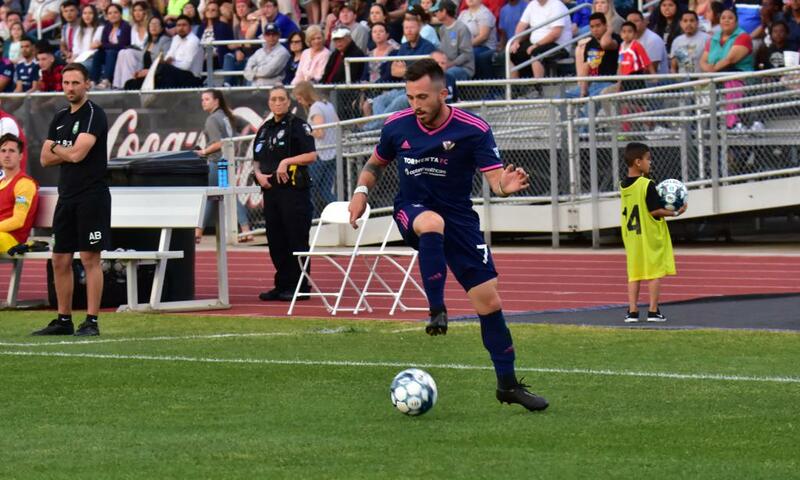 FC Tucson joined its fellow former League Two colleague Tormenta FC in taking victory at the first opportunity in the professional ranks as Guillermo Delgado notched a pair of goals against Orlando City B to open the season. Tucson will now head to face South Georgia on Wednesday night as both teams look to add to their opening victories. League One action resumes on Wednesday night with the clash between Tormenta FC before a four-game slate this weekend that will see Forward Madison FC make its debut and Toronto FC II kick off its fifth professional season in its new league. All of the live action will be available on ESPN+ in the United States, and on YouTube internationally as the newest professional league in North America continues its journey through its inaugural season.